I am not keyboardist so don't expect me to give you in-depth review here :) I use this keyboard primarily to create backing tracks. Korg Triton Le provides a genuine alternative to computer-based recording. A range of features such as individual track looping, cue lists which is ideal if you like to assemble songs starting with smaller segments, and song templates, give you everything you need to put together arrangements quickly and efficiently. This Music Workstation is also loaded with over 1,000 killer sounds and has all the knobs and joysticks you need to send each and every sound into new dimension.. or you can even use Triton Le to create your very own and unique sounds. 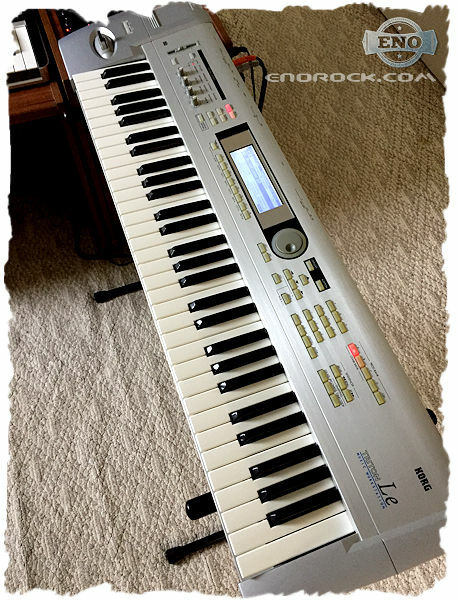 I've had this Korg Triton Le for many many years, since they first released it and I still enjoy this keyboard. It offers more then I need and I don't see any reason why I would replace it with newer (Kronos?). I can use this Workstation to create everything from Classic Music to Rock Music and even Techno.